September 2014: Stephanie D. Curtis is named "Texas Super Lawyer" by Super Lawyers, a Thomson Reuters partner publication/insert distributed by Texas Monthly, September 2014. May 2014: Northwood University bestowed Stephanie D. Curtis with an honorary doctorate degree at it's May 8, 2014 Commencement Ceremony. May 2014: Mark A. Castillo was named as one of the "Best Lawyers in Dallas" by D Magazine in their May 2014 issue. April 2014: Super Lawyers named Mark A. Castillo and Joshua L. Shepherd as "Texas Rising Stars" in the April 2014 issue of Texas Monthly. February 2014: Stephanie D. Curtis is named as one of the "Women Leaders in Law 2014" by D CEO in the February 2014 issue. January 2013: Standing Strong, Giving Back: Stephanie Curtis gives back to the Dallas community by giving opening remarks to the 8th grade class at Highland Park Middle School to introduce Christopher Kennedy Lawford and held a private book signing reception to promote Lawford’s newest book, Recover to Live, a treatise on addiction awareness and recovery and how addiction touches so many lives. August 2012: Curtis | Castillo PC was recently awarded collections contract work by the North Texas Tollway Authority. September 2011: Texas Lawyer Boutique Law Firm Guide 2012 featuring Curtis | Castillo PC: Delivering Innovative and Sophisticated Legal Solutions. April 2008: Mark Castillo was named “Texas Super Lawyer,” by Super Lawyers, a Thomson Reuters partner publication/insert distributed by Texas Monthly. October 2007: Stephanie Curtis was chosen as one of the "Dynamic Women of Dallas" by Modern Luxury Magazine. October 2007: Forbes Magazine article featuring The Curtis Law Firm, PC. June 2007: nwa World Traveler article recognizing Stephanie Curtis as one of the "Nation's Top 5% Attorneys" by SuperLawyers.com (a Thomson Reuters Service). May 2007: Dallas Business Journal article regarding Plano Hospital veteran dealing with bankruptcy quoting Stephanie Curtis. April 2007: Mark Castillo was named “Texas Rising Star” by Super Lawyers, Rising Star edition, a Thomson Reuters partner publication/insert distributed by Texas Monthly. October 2006: Stephanie Curtis was named “Texas Super Lawyer,” by Super Lawyers, a Thomson Reuters partner publication/insert distributed by Texas Monthly. October 2006: Stephanie Curtis was chosen as one of the "Dynamic Women of Dallas" by Modern Luxury Magazine. 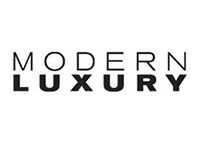 June 2006: Stephanie Curtis was chosen as one of the "Top Attorneys and Law Firms of Dallas" by Modern Luxury Magazine. March 2006: Dallas Morning News article regarding Northwood University's Founders Day Business Symposium, Stephanie Curtis, Entrepreneurship Committee Chair. October 2005: Stephanie Curtis chosen as one of the "Dynamic Women of Dallas" by Modern Luxury Magazine. October 2004: Stephanie Curtis named “Texas Super Lawyer,” by Super Lawyers, a Thomson Reuters partner publication/insert distributed by Texas Monthly. July 2004: Stephanie Curtis named “Texas Rising Star” by Super Lawyers, Rising Star edition, a Thomson Reuters partner publication/insert distributed by Texas Monthly. September 2003: Richmond Times-Dispatch article on Ntelos reorganization plan. May 2003: Stephanie Curtis recognized by colleagues as one of D Magazine’s Best Lawyers in Dallas. May 2002: Stephanie Curtis recognized by colleagues as one of D Magazine’s Best Lawyers Under 40 in Dallas.